This Baked Eggs are different than you might expect. 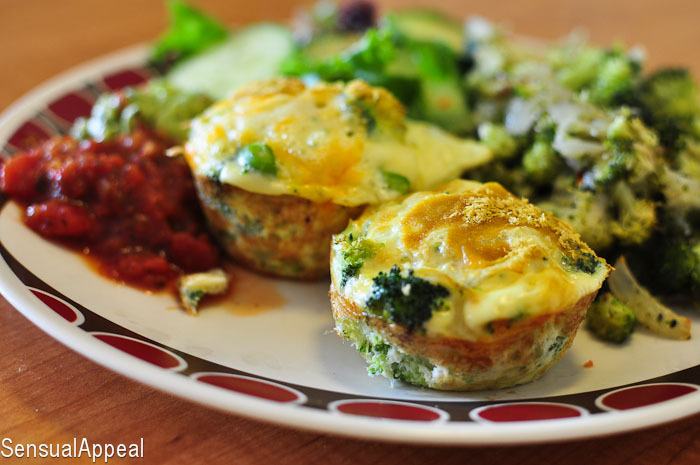 This is one of the healthy breakfast meals that are sure to keep you satisfied! These delicious and simple egg omelets can be made ahead of time. 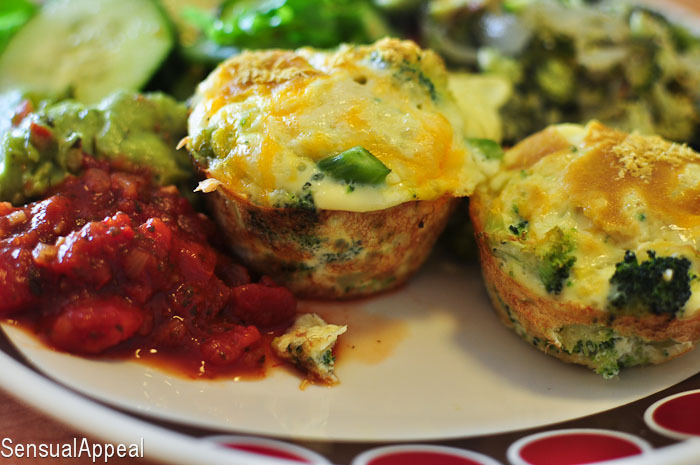 Perfect on-the-go breakfast that’s full of protein and veggies! I do not own a steamer because I live in a dorm apartment which is tiny pretty small. Once this academic year is over though, and I graduate, mark my words — I WILL own a steamer. So anyway, this was my first time steaming vegetables on my own. Without the use of a steamer. It didn’t turn out bad. It actually worked out perfectly fine. Yay for me! These little baked egg omelets turned out super yummy. And I got really excited when I was sauteeing a whole cup of onions. I felt like a housewife even though I was making this food for myself to enjoy throughout the week. I felt so grown up though! I started making meal plans for myself and this recipe was on my to-do list for a while and I thought it would be a perfect way to incorporate into my meal plan as a dinner. Yes, I eat eggs for dinner too. Breakfast was a given here. But hey, some studies say we shouldn’t have many carbs after lunch so this is a great dinner option. A lighter option. Just the way I like it. Best part? You can put them in foil and eat through the week. Yay! Shared on Fit & Fab Fridays, Farmgirl Friday. 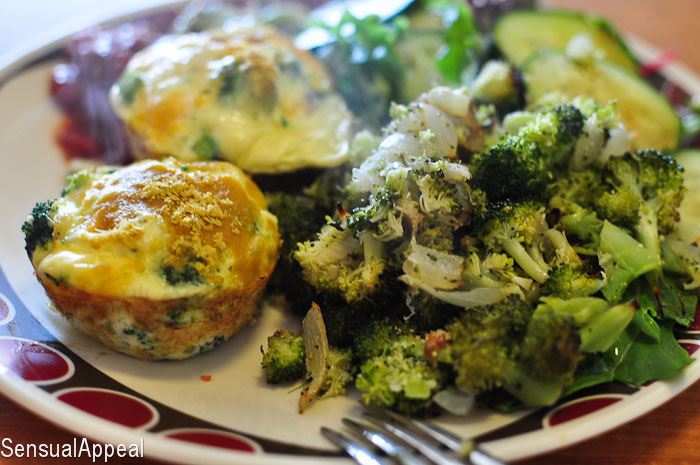 Yummy – those baked omelettes look fantastic! They are delicious! I recommend! I may have to experiment with the idea of a baked omelette. Those look delicious! Cheese + eggs is a fantastic (and filling!) combo. Mmm…cheeeeeeeese! I may have to intentionally overfill the cups just so THAT can happen! 😉 Girl, you don’t need a steamer! A pot with an inch of water and a tight fitting lid is all you need! Is that how you made the broccoli? Or did you use the microwave? YES that’s exactly what I did and it worked like magic! My pot is really small though but I somehow managed to fit it all in there, haha. I love this one! I’ll show it to my daughter.. she’s always trying to come up with quick and easy and HEALTHY lunches for work. She could just pop one out of the fridge!! 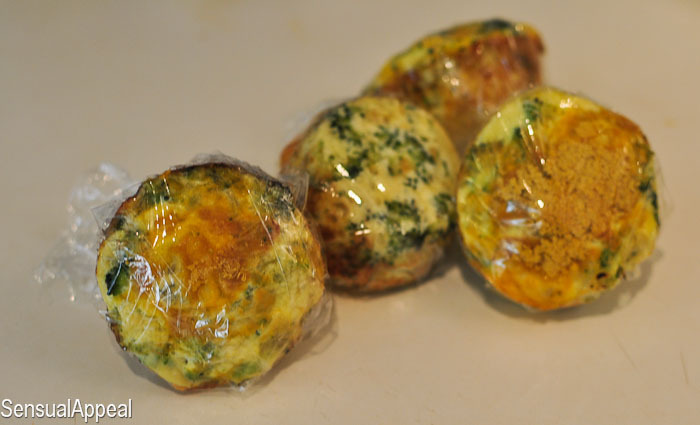 i made mini omelettes once and loved them! 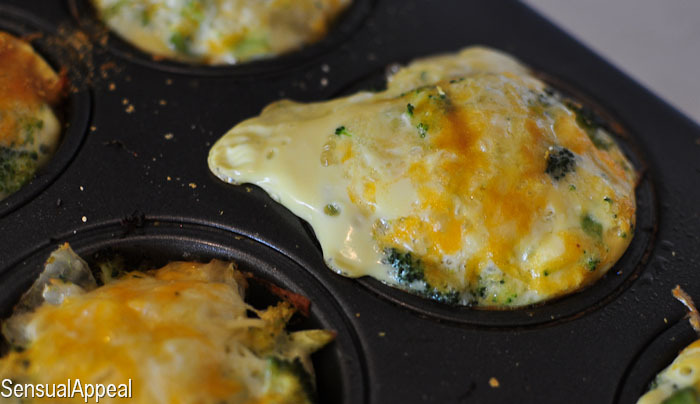 but i havent made them again because even though i sprayed my muffin pan it was a pain to clean out the egg! any suggestions? I love these mini omelettes! Thanks for sharing at Fit and Fab!